Our new Sport & Fitness facilities are up and running! 2017-18 Part Time Courses Now Launched! We've launched the 'Apprenticeship Experts'! College festivities raise £460 for charity! Gold, silver and bronze...College students take all! State Of The Art Technology Centre Now Complete! Our Hospitality & Catering department won a Pearson Teaching Award! Will choosing a technical and professional course limit my future? College House awarded Ofsted 'Outstanding' for the fourth time in a row! The tables have turned in Apprenticeship Week 'Freaky Friday'! Refrigeration apprentices nominated for national industry award! Student wins ACR News Apprentice of the Year! Student ecstatic to earn a place at world-leading Art School! Students compete to win hundreds of pounds of specialist tools! Hot off the press - our new 2017/18 prospectus is here! Your avenues are limitless – as these Built Environment students tell us! New Smart Metering course launches - and it's EEIAS Platinum approved! Our Catering department is in the running for 'Britain's Classroom Heroes 2016'! College alumni shortlisted for Pride of Britain award! We are the highest scoring college in the region! Employers ready and waiting for Apprentices! College unveils £12 million redevelopment plans! Apprenticeships are great for business! James Bond themed evening success! Foundation students' art exhibition now open! Our new part-time prospectus for 2015/16 is out now! College re-born in the heart of Southampton! Southampton Hair & Beauty College now launched by TV Hairdresser! Students take over the Holiday Inn Hotel! Catering students welcome the first guest speaker of the year! Student Lucy Sykes lands herself a role as British Airways Cabin Crew! East Avenue Restaurant officially opens! KNOWHOW, part of the Dixons Carphone Group, celebrates Eastleigh College success! The 2016 Holiday Inn Takeover is underway! The Hive enterprise centre officially opens! Students and staff triumph at our Annual Awards Ceremony! Student's outfit to be modelled at the Clothes Show Live! Students assigned their roles ahead of the 2016 Holiday Inn takeover! Hospitality and Catering students manage the Holiday Inn! The Junior Chefs Programme is looking for recruits! Kaine wins Bronze at SkillFridge final! Shakespeare’s Globe Theatre education company comes to Eastleigh College! New part-time courses launching May 2016! Eastleigh College challenges local businesses to reach 500 new Apprentices this year! Catering student nominated for Chef of the Year! Girl Guides could be the next generation of Engineers! Could you make the cut? An inside look at the hairdressing industry! Our new part-time courses for 2016/17 are live! There's still time to enrol! Employers leave the hassle of the Levy behind them! Meet our Crime Scene Investigators! Statement from the Principals of Eastleigh College and Southampton City College. Whether you need help with choosing the right course, support with your studies, information about progression opportunities or just someone to talk to, Eastleigh College have the people in place to assist you. Much of the information you are likely to need is on this website, so do spend some time reading through the information available to you here. Course information for every course on offer can also be found on this site. The Student Support Services Department can offer a range of support services tailored to meet the individual needs of each learner. If you have any queries or would like to find out more about our services, please contact the department on 023 8091 1228 or email us at studentsupport@eastleigh.ac.uk. 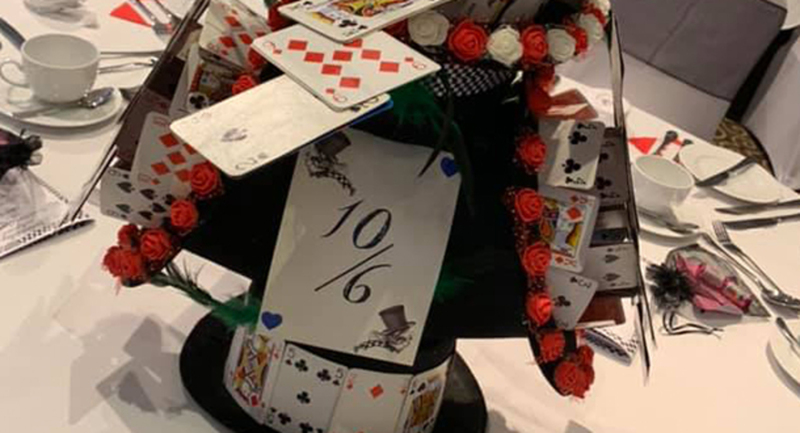 After being approached directly by the Eastleigh Mayor’s office, Eastleigh College Events Management students worked in collaboration with its Hospitality and Catering learners to deliver a successful gala dinner for the Mayors Appeal. 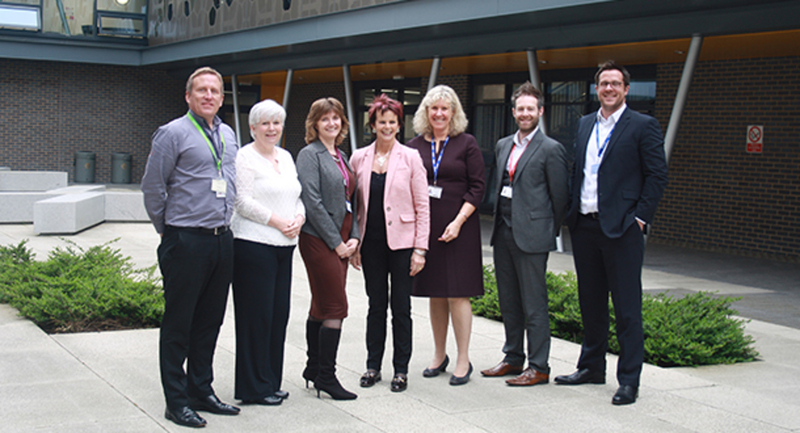 Eastleigh College recently welcomed the Rt Hon Anne Milton MP to its campus. Request for funding from Government to support the planned merger has not been approved. Decision will not impact either college’s mission to continue delivering quality educational outcomes. Unfortunately this course is now full. Please select another date, if available, or click here to submit an enquiry. By doing so our admissions team can contact you if a place becomes available.